ORANGEBURG, S.C. — South Carolina State University trustees said Thursday they are being unfairly blamed for the university’s problems, but likely will leave quietly in the best interest of the school if lawmakers fire them all. The Board of Trustees held its regularly scheduled meeting even though some lawmakers in Columbia now are proposing to kick all the trustees off the board and start with fresh members appointed by state leaders. The Senate quickly passed the proposal through committee this week. Several trustees spoke angrily about the plan. But there also was a sense that they didn’t have many meetings left together. “This train is on the tracks, and it is moving swiftly,” trustee Anthony Grant said. Lawmakers have grown increasingly angry about perceived mismanagement and at least $11 million in unpaid bills at SC State. Before proposing to get rid of the current board members, some lawmakers had presented a plan to temporarily close the university to fix its books. The trustees met for about an hour in public Thursday before going behind closed doors to discuss what the trustees’ lawyers said would be the employment of President Thomas Elzey. They returned an hour later but took no new action. Trustees placed Elzey on leave with pay on Monday, 11 days after saying they fully supported him. Elzey has more than two years on his contract and would be owed about $400,000 if he is fired without just cause. The trustees also heard an update on SC State’s accreditation. The Southern Association of Colleges and Schools placed the state’s only public historically black university on probation last year and will return in April to see if progress is being made on the school’s financial, leadership and other problems. SC State could not survive losing accreditation because students would no longer be able to get financial aid. 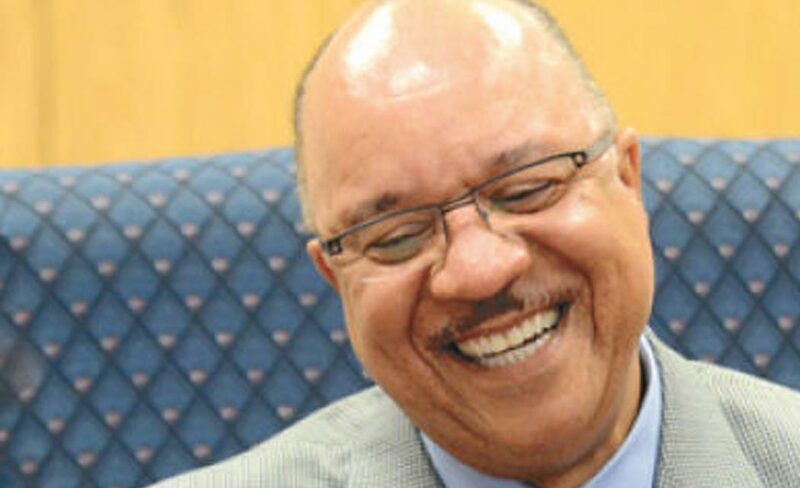 Acting President W. Franklin Evans said he can’t predict the accreditation board’s thinking. “But what they are expecting to see is South Carolina State University is making progress significant progress,” he said. Trustees were also presented with a plan to try to raise $20 million over three years. The first phase would raise $10 million to put toward the school’s debt. The recent negative attention on the university has had one positive effect, the school said: SC State has been given $200,000 in the past 45 days. The school also discussed how it can increase enrollment, especially with foreign students, veterans and Hispanic students. Trustees’ attorney Ken Childs said the Legislature appears determined to take swift action. But until a bill becomes law, the current trustees remain in charge of running the school with 3,500 students. “As long as you are on this board, you are expected to govern,” Childs said. Several trustees said they feel they shouldn’t get all the blame for SC State’s problems. Many of them were elected by legislators after the board hired Elzey in spring 2013. John Corbitt, the board’s longest serving member at 14 years, said trustees are scapegoats for problems like declining money from the state. “Give us the money now, and we’ll fix it now. The only thing a new board can do is get more money,” Corbitt said. The trustees also said the school’s leadership is to blame for other problems, like bad financial choices and enrollment that has declined by nearly a third in the past seven years. “We have a lot of blame to go around,” trustee Pearl Ascue said.